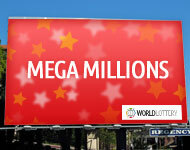 Worldlottery.net is your one-stop resource for anything relating to world lottery games. Whether you want to see the latest winning numbers from popular American lotteries such as Powerball and Mega Millions, or maybe you want to know what Australia’s Oz Lotto is all about, you’ll find exactly what you need right here. Head over to the Results page to see which numbers have been drawn most recently in lotteries from around the world, or select one of the games on this page to learn more about it, including how to play and what prizes are on offer. 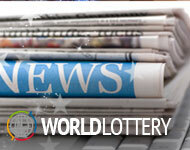 Find information about individual lotteries from around the world by selecting one of the links on the right. You will discover the odds of winning and see just how big the jackpots can get in each game. Once you’ve found out all you need to know about these lotteries, head over to the Tickets Page to pick your numbers. It‘s never been easier to take part in the most famous games across the planet, so read up on how to play your desired lottery, discover the odds of winning and start dreaming of how you will spend that jackpot!